Hacking group strikes one last time after announcing 50-day rampage has ended; Anonymous asserts they “sail in the same spirit”. 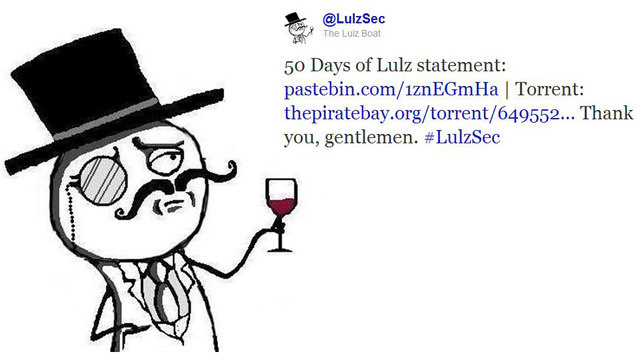 LulzSec, also known as Lulz Security, has turned the world topsy-turvy within two months of its initial attack. Since then, it has attacked organizations ranging from Nintendo to Bethesda to the CIA. Just a few days ago, the group announced its farewell.